It was the surprise that couldn’t be kept under wraps. Plans were dropped for this … or they would have been if I’d made any. Galaxy’s monthly book club would have another special guest in New York Times and USA Today bestselling author Nalini Singh, who jumped across the pond from New Zealand. I managed to arrive before Nalini and learned that Sofia (Galaxy’s paranormal romance guru) had invited a reporter and photographer from the Daily Telegraph to meet Nalini. Nalini and the photographer arrived at roughly the same time, so I picked up 2 copies of Blaze of Memory for myself and Wandergurl and joined the line. 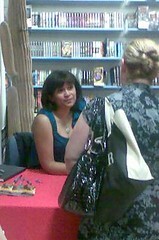 The photographer took a few pics of Nalini at the table, signing books, and asked the group of 4 ladies directly in front of me if they would be willing to be in a fan photo with her for the paper. I was *this* close to ending up in the Daily Telegraph, so the readers had a lucky escape there. Wandergurl wanted to know if Nalini would do an Australian book tour, and she said it depended on her publisher. For Australia and NZ, she is with a UK publisher who has even designed different covers for her books. I told her that what always stood out to me about the Psy/Changeling series was the way that just a simple touch has much more intimacy than in the real world. I was thinking of Sascha’s first business meeting with Lucas in Slave to Sensation and how he told her she didn’t have skin privileges. In reality, you might have a meeting with a client and whether you like the person or not, you’re expected to shake hands with them. She said that she really tried to make it a part of the world that there isn’t that type of casual intimacy like when you’re pressed up against random strangers on a crowded train. I found her approach refreshing—it adds a unique element to the sensual scenes in the books. 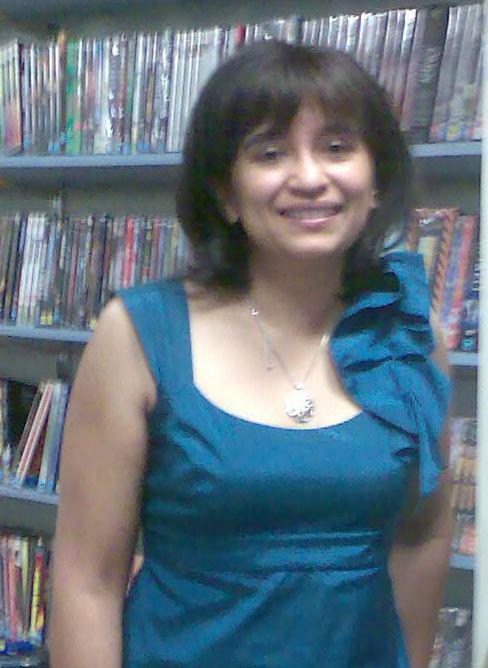 Nalini came off as very friendly and someone who enjoys meeting people who read her books. Her speaking voice was a bit higher than I expected (for some reason I expected it to be on the deeper end of the female vocal spectrum; I don’t know why) and she didn’t have the strong Kiwi accent I expected either. She signed Wandergurl’s and my new copies of Blaze of Memory and the uncorrected proof of the first 2 chapters of Angels’ Blood I got at ARRC last year. I almost didn’t take it out of my bag because it says ‘LIMITED DISTRIBUTION’ on the first page but she told me that she’d had some left over from another conference and had more printed for ARRC, so I didn’t get anyone into trouble there. She had a stack of Guild Hunter bookmarks, so I picked up a few of those as well. Our books were autographed in metallic pen and she signs her first name only, along with the city and year, which I thought was pretty cool. Right behind me in line was the book distributor Kat and I chatted with at the last book club. Nalini was so interested that a male fan had shown up that she asked me to take a photo of them with her camera for her website. Some people left after their books were signed, but a lot of us hung around to see if there would be a book club part of the night. I gave into the impulse to ask Nalini to be in a photo with a largely overlooked member of the Galaxy team, and she willingly signed Sofia’s author book with a surprise compliment written under the cover of distraction another customer provided. She was a very good sport about it all. In the end it was decided that there were too many people to get the chairs out, but in a way it was like a typical book club because we mixed and had different conversations with people. At least I was spared the temptation of the cold meat, cheese, crackers, basil dip and sugary biscuits that mercifully stayed on the refreshment table instead of having to pass the plates up and down the line. Unfortunately, that table was right next to Nalini but, with Herculean effort, I managed to stick to orange juice. At some point Nalini had been given a gift bag with a wrapped pressie box inside. I have no idea what it was because she was waiting to unwrap it, probably at her hotel. All in all, it was a successful night, especially since it had been arranged on both sides very suddenly (Nalini only arrived in Sydney this morning). I’m not sure why that was, but I had way too much fun to complain. Tagged galaxy bookshop, nalini singh, nz authors, psy-changeling. Previous: Dear 2010, I have almost caught up with you. I use the term “cheesy” half in jest, because I like they US covers too, but seriously the UK ones are quite striking. I love the covers, too, except … why are the changelings’ scars still bleeding? Also, doesn’t Judd have cardinal eyes? But, you know, that’s just me being pedantic. 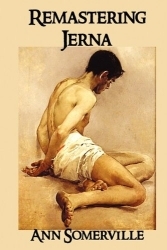 I love the angel covers, too. Wow I haven’t seen the UK/Aus editions anywhere and I waaaaaaaay like them more than the US covers. Now I’m annoyed and will have to look out for them to get those copies too. Thanks for the write up of the signing. Hi, Chez! According to Fishpond, the first UK/Aus Psy-Changeling edition comes out in March and the Guild Hunter book come out in February.